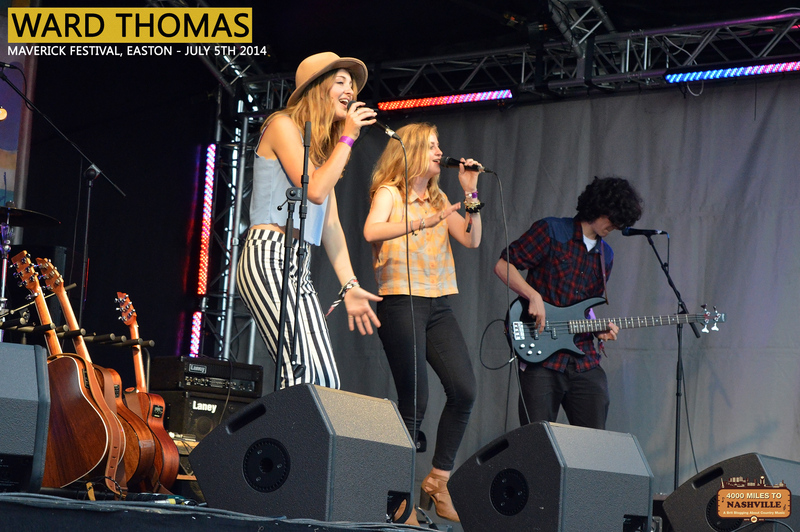 I became aware of Ward Thomas shortly after Country 2 Country earlier this year, but unfortunately missed seeing them play at The O2 on the pop up stages. Soon after they started making waves at the BBC and were featured on Radio 2 with the one and only Terry Wogan. They released their Footnotes EP which I bought and loved, and then off to Nashville they went to record their album. On their return they released Push For The Stride and announced said album, which was to come out on July 21st – sooner than I was expecting. I had plans to buy the album when I go to see Ward Thomas play live at the Green Note in London, so when I was asked to review it I jumped at the chance, but with a slight feeling of trepidation. Why is that you may ask? Well the songs on Footnotes are brilliant, all 4 of them – as is Push For The Stride, which also comes with an accompanying music video. So why is that a problem? Based on those 5 songs I had very high hopes for this album, and there’s a possibility I had set my expectations unfairly high. What if it turned out From Where We Stand was not as good as I’d hoped? So that sets the stage for my first listen of the album, which happened on the way to work this morning – 2-3 hours of commuting every day gives me lots of time to listen to new music. The album starts with Push For The Stride, which I already knew to be the triumphant showcase of their writing, signing and harmonies that can only be achieved by people who share the connection possessed by twins. Way Back When is the second track on the album, and the first that was new to me. Funky guitar intro – okay, so far so good. Vocals kick in and we have a song about comparing the present to the past, of what I’m thinking is their Mum, or another figure from the previous generation. Anyway, the quality is there – the song is, as always with Catherine and Lizzie, superbly written. Credit must also go their co-writers on the album, Ann Bailey and Matt Greaves – great job guys. These girls are poets, and fine ones at that. They also have tremendous voices, which they blend well either together, or with contrasting tones. Tracks 3 and 4 are on the EP, so I know the quality is continuing with Footnotes (Happy Ending) and The Good and The Right. From Where I Stand is where things change, as this a lot slower than the previous tracks, and we have a piano to start with instead of the usual guitars, much like Caledonia on the EP. When I say things change, this is a song that made the hairs on the back of my neck stand up – beautiful vocals, and a heartbreaking story of their parents’ divorce. The guitar break towards the end is perfectly positioned, before those sensational vocals take us to the end. 20 years old, that’s how old the Ward Thomas twins are, which when you hear this sung, written by them, you’ll find hard to believe. Every time I’ve heard From Where I Stand today it’s hit me emotionally, like a freight train of memories as I recall my own parents divorce, and my ignorance at the time. Later on Try is a similar ballad style, and every bit as stunning. The one thing this album showed me was just how versatile Ward Thomas are, both as songwriters and singers. As I listened to the whole of From Where We Stand I was relieved, surprised and delighted. My lofty expectations had been met head on, shrugged off and exceeded. I will admit, that at first I was a bit disappointed that the EP tracks I already had were included, but when you listen to the whole album you realise that Take That Train has to come after From Where I Stand, and that Caledonia has to sit before the album ending Town Called Ugley. There is also the fact that not everyone buying the album will have the EP, so it makes perfect sense to include them – that and the songs are far too good to leave off. I’m was born in Essex, and you might ask why I’m telling you this, and I’ll tell you why. Ugley is an actual place in Essex – more of a village than a town, but I’ll allow them poetic license. This song showcases their ability to have fun, and is a superb contrast to the more serious songs on the album. I like that they actually refer to each other by name, and talk of throwing the TomTom out the window – something I almost did last Saturday en route to the Maverick Festival, where Ward Thomas were playing. Small world isn’t it? Caledonia is the only song not written at all by the Ward Thomas twins, and is a 1977 ballad from by Dougie McLean. But you know what – it could have been written for them, it’s such a Ward Thomas song, as you can hear when they sing it. The whole album is brought together with a bunch of very talented musicians, both modern and traditional, who do the girls proud, and the whole package comes together superbly. It’s brilliantly created modern country, country pop in some cases like the almost Taylor Swift-esque Guest List, but with a very distinctive Ward Thomas country style. Right now Try is playing, and I’m reminded of how it builds and Catherine and Lizzie are joined on vocals by a choir, and just as I really want to hear just them again, I do. The arrangement of the songs is just absolutely perfect. Without a single word of disingenuous sycophantic hyperbole, From Where We Stand is one of the finest albums I have heard in a very long time. Every now and then an album comes along that is so special that you just want to listen to it over and over – this is one of those. To and from work, whilst at work, and as I write this review, From Where We Stand has been on almost all day and I still get pangs of excitement every time I listen. If I rated albums I’d give this the highest rating, be it stars or marks out of 5 or 10 – it gets the lot. It’s the 11th July as I write this – you have 10 days to pre-order From Where We Stand, and I can’t emphasis enough how much you need to do this. It’s available on iTunes here or you can get it directly from their website and get a signed CD here. After I has listened to the album I thanked my lucky stars that I’d bought tickets to see them play in London. After pre-ordering the album go check out where they are playing and see them live – from the one song I saw them preform at Maverick Festival, you won’t be disappointed. 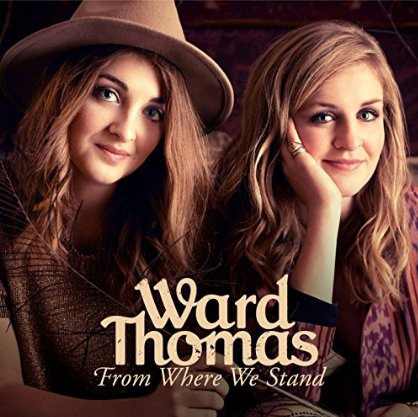 From Where We Stand is truly incredible debut album and Ward Thomas are without a doubt a very big part of the future of both country music, in the UK and beyond, with huge mainstream crossover appeal. love Ward Thomas, hope they will come up to the North EAst at some stage. They are 20-years old now. There’s no mention of the Nashville musicians and producers that make their songs sound so great. I bought the EP tracks. Is the new album in digipac or jewel case format. Does it have all the lyrics, credits and photos? You’ll love them even more after hearing the album – just 3 days until the release now!